Alan Farago | The following essays appeared on the website, Counterpunch, unless otherwise noted. This website serves as an archive. To read recent OPED’s please go to my page at Huffington Post. (Context Florida) On climate change adaptation, the hour is very late. Only seven years ago the mainstream media began reporting the likelihood that warming temperatures at the arctic extremes could begin releasing vast quantities of methane gas into the atmosphere, with its potential to rapidly double the amount of global warming gases already overloading the atmosphere. With a summer that has produced astoundingly high temperatures and forest fires in arctic North, that hypothesis is coming to pass. It is no surprise that climate scientists, as a result of data pouring in, are beginning to publicly express what they privately experience: despair. Big Sugar hiding in plain sight: who owns Sunshine State News? (Counterpunch) In Florida the Fox News copycat commentariat is an online web source called Sunshine State News. Nancy Smith, a retired newspaper reporter, leads the operation. With Fox, company ownership is public record. Not Sunshine State. This is a story about pediatric cancer clusters in Florida. It begins in Durham, North Carolina at Duke University where Dr. David Banks is a professor in the Department of Statistical Science. In 2013 Dr. Banks was the new editor of Statistics and Public Policy, a journal of the American Statistical Association. In early February, Banks gave a speech to the Florida Chapter of the ASA at the University of West Florida in Pensacola. There, he met with Dr. Raid Amin, a distinguished statistics professor at the university. Dr. Amin’s statistical analysis of pediatric cancers in Florida – from the years 2000 to 2007 – concluded that there are significant cancer clusters in two large areas of Florida: the southern region of Florida and in northeast Florida. That struck one of the most sensitive nerves in state government. 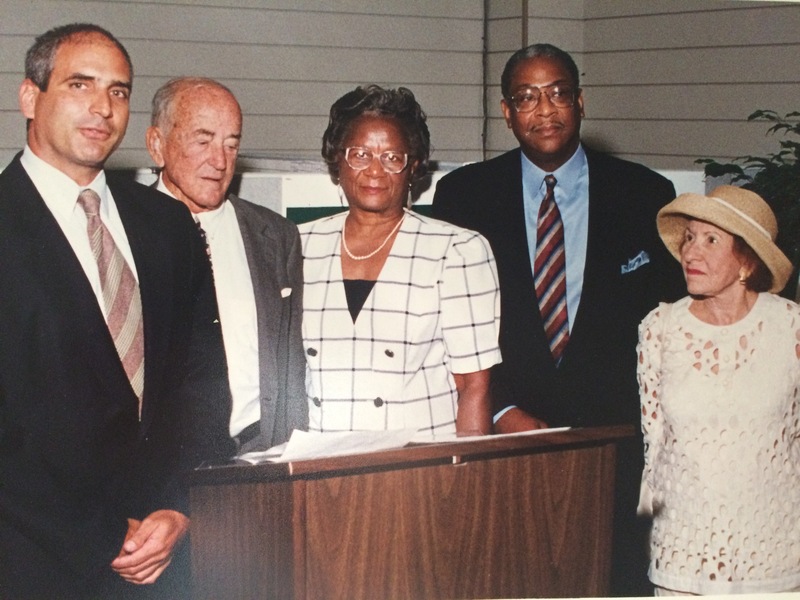 From left, Alan Farago, Rep. William Lehman, Thelma Gibson, Arthur E. Teele Jr. and an unidentified woman. At the time, Art Teele was chair of the Miami-Dade County Commission. He died in 2005, too. A decade ago. A decade after this photo was taken. Twenty years after this photograph more or less, Arthur E. Teele blew his brains out in the lobby of One Herald Plaza, the home of the Miami Herald that also no longer exists. He did it for a reason: he believed he was being hounded out of existence by enemies including the powerful Herald. (This OPED is available on the web through ContextFlorida.) It makes sense for President Barack Obama to be in the Everglades on Earth Day. According to the White House, he will draw attention to both the Everglades and the massive economic consequences of global warming and climate change. (Printed in Counterpunch) In December 1972, I was a college freshman at Yale in New Haven, Connecticut. Christmas break, one of my best friends invited a group of us to share his uncle’s condominium near the ski lifts in Aspen after New Year’s. We had grown up skiing together in New Hampshire. I flew into Denver, a cow town small enough you could roll a basketball down Broadway at four PM and it would roll to the other end of the city. The next day I took a bus to Aspen. That night when we were fast asleep in the duplex, there was a loud banging on the door. My friend, the responsible party, went downstairs to see about the commotion. I gradually focused on a heated exchange between my friend and an interloper. It was late. We had smoked a little reefer. Who knew. The long and the short of it: the raised voice on the other side of the door was the manager of the US Women’s Ski Team. In the van behind him was the US Women’s Ski Team. They had flown in from Europe and driven straight to Aspen from Denver. Their race began the next morning, and they intended to take possession of said, same condominium they had rented.